In less than four years, Joe Menezes has become one of the world’s top wine influencers through his profile as "OnceUponAWine." A full time lawyer who recently completed his WSET Level 3 Award in Wines, he shares his hopes for his blog and beyond. As a full-time lawyer by day, what inspired your interest in wine and encouraged you to set up your blog? Around four years ago, just before I started OnceUponAWine, I had recently returned from a visit to the Hunter Valley region and shortly before that, I had also visited the Barossa Valley and Clare Valley which essentially sparked my interest in wine. I noticed that there was a huge influx of food bloggers, but not many wine accounts on social media. I immediately saw this gap and decided to start posting about what wine I was drinking on the weekend, and essentially, OnceUponAWine was born. As one of Social Vignerons’ top 20 wine influencers in the world, what do you hope people take away from your blog? There are many things that I aim for my followers to take away from my posts but I guess the first key item is to expose my followers to high quality wines available in the market. This can vary from your high-end wines which are mainstream or more importantly, non-mainstream wines which are on par in terms of quality and price but just not as well known to my followers. Conversely, at the other end of the spectrum, I love promoting the more everyday and affordable wines or sparkling wines which are equally as good in terms of price and quality, won’t break the bank and something that the everyday consumer can relate to and afford. I have always been a big fan of the underdog and being able to promote new, high quality, affordable and hidden gem wineries, has become a really important element to my account. The second most important factor that I hope my followers take away from each post is from an educational aspect. I find that followers are really visual so first and foremost, you initially need to grab them with a really sharp and striking picture. Then, I always like to add something educational in my wording that I have learned e.g. 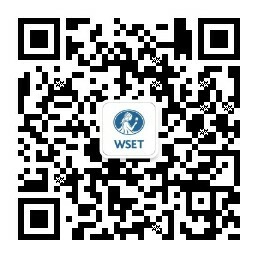 from WSET, events I’ve attended or from chatting with industry gurus or fellow wine lovers. Having just completed WSET Level 3 Award in Wines, how did you balance studying alongside your full-time job? Balancing full time work and study involved reading after work on most nights and devoting a big portion of my weekends to study. In relation to the "theory" I always stayed ahead in terms of my weekly readings. This would be one of the biggest tips that I couldn’t emphasise highly enough for anyone considering Level 3. Coming to class fully prepared by having already read the content for the topics made a huge difference. I noticed that other students in my class who came unprepared really struggled in keeping up, especially on nights that covered a lot of content, as pace moved very quickly and there was a lot to absorb. In relation to the blind tasting section of the exam, I was super conscious to try the majority of the WSET recommended tastings. I was pretty diligent in practicing my wine tastings according to the WSET Level 3 Systematic Approach to Tasting Wine (SAT). Through your partnership with Qantas’ QCollective, you often recommend Australian wine regions to visit. Which regions are top of your list at the moment? I am a mad Riesling fan so I would really love to visit Germany sooner rather than later and fingers crossed I would love to incorporate that visit to be able to attend the famous ProWein festival at the same time. Aside from the more commonly known regions, I now have a much greater passion post- WSET Level 3 Award in Wines to visit some of the lesser known regions. Hampshire in England is certainly high on my list as I am super keen to try more of the amazing sparkling wines being produced from this area, as well as Tasmania, which is much closer to home but also producing similar exceptional sparkling wines, with some even beating Champagnes in blind tastings. My final international region on the top of my list is South Africa, in particular the Stellenbosch region. The wines that I tried from this area in blind tastings and from my own personal consumption were simply outstanding, plus the region as a whole looks visually stunning. I have always been a big fan of the underdog and being able to promote new, high quality, affordable and hidden gem wineries, has become a really important element to my account. To be honest, I really enjoy working as a lawyer and I think the wine side of things balances out my day job pretty well. Let’s face it, lawyers love to drink! Plus, I’ve personally witnessed other influencers who have set out to make their social media accounts a full-time career in their relevant niche, however, almost all of them end up going back to full time work. It is super hard to do and sadly, in many cases and also in reality, it doesn’t pay the mortgage! WSET Level 3 Award in Wines has honestly been one of the best studying experiences of my life and I have been asked a lot recently the question of when I am starting the WSET Diploma. OnceUponAWine always has and always will remain a hobby for me so for now, Level 3 is the end the road for my wine studies. But, my personal motto has always been "never say never" so who knows what the future the holds. You can follow Joe's wine journey on Instagram and Twitter.